Guru Hargobind Sahib was the only son of Guru Arjan Sahib ji and Mata Ganga Ji. 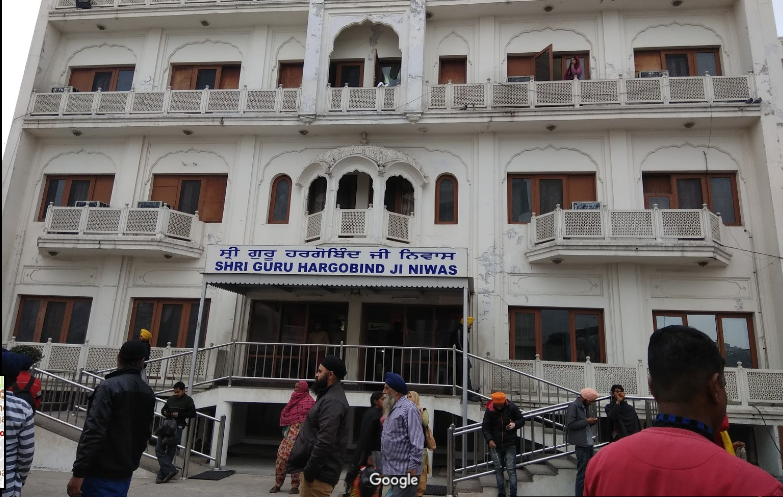 He had one daughter Bibi Viro Ji and five sons: Baba Gurditta Ji, Suraj Mal Ji, Ani Rai Ji, Atal Rai Ji and (Guru) Tegh Bahadur Ji. Out of these, four sons passed away during the life of Guru Sahib and the fifth one, Guru Tegh Bahadur Ji become Ninth Nanak in 1664. He succeeded Guru Arjan Sahib ji in 1606, at the age of 11 yrs & wore two swords, one of Spiritual Power – Piri and the other of Military Power – Miri. Now the Sikh became “Saint-Soldier.” Guru Sahib issued various letters advising the Sikhs to take part in the military training and marshal arts. If you are lucky enough to get a room here, it’s the perfect place to stay for a day. Located near Golden Temple and have basic amenities like geyser and AC. 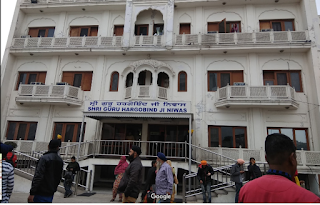 It’s one of the best sarai where u can stay to the nearest vicinity of Golden Temple. They provide decent rooms and service.